Town Hall Pharmacy opened in 1422. This curious little shop on Town Hall Square is, in fact, the oldest continuously running pharmacy in Europe. Ten generations of the same family, the Burcharts, operated it from 1581 to 1911. 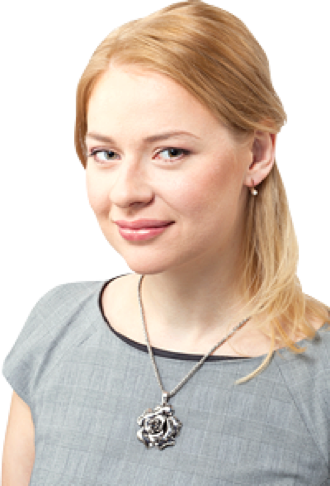 It was so famous in its day that the Russian czar used to order medicines from the pharmacy. Remedies sold at the pharmacy during medieval days included snakeskin potion, mummy juice and powdered unicorn horn (for male potency). But this was also a place to buy everyday items like jam, tea, claret, gunpowder and, most importantly, marzipan. Marzipan was one of the pharmacy’s best sellers, one that local legend insists was actually invented as a curative here in the 15th century. Marzipan was also known to cure broken hearts. Brave ones can try it out even today as the historic site still operates as a pharmacy, selling modern products. Its side room houses an interesting display of 17th- to 20th-century medicinal bric-a-brac. Everyone can step in for free to see the exhibition and admire a medieval house from inside. 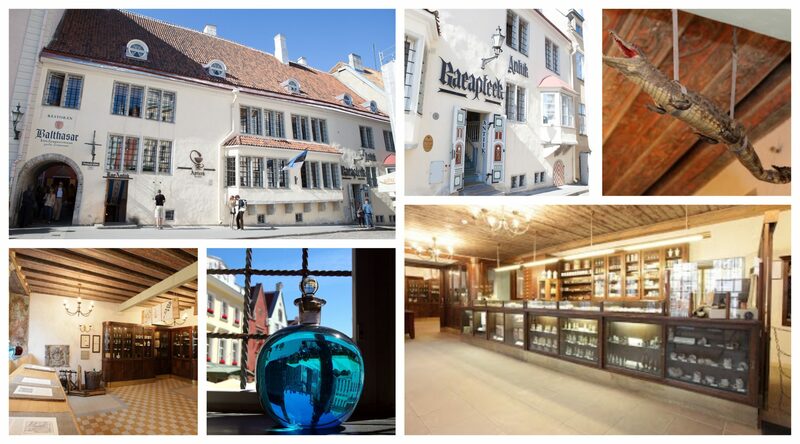 The pharmacy (the Estonian name, Raeapteek, literally means “municipal pharmacy”) has been continuously operating in the same premises in Tallinn Old Town since 1422 – it was first mentioned on 8 April that year. In a town council’s notebook, there is an entry by a chemist named Nuclawes who stated that the owners of the pharmacy are ten honorable men, the majority of whom are aldermen. For over 300 years, from 1582-1911, spanning ten generations, the business was a run by the Burchart family. 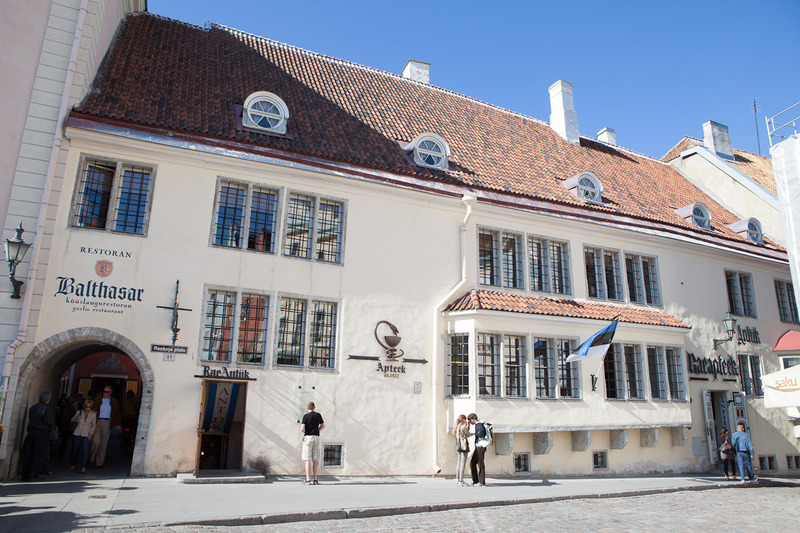 The association started when a Hungarian immigrant, Johann Burchart Both Belavary de Sykava, moved to Tallinn from the present-day Bratislava and obtained a lease from the town council to run the pharmacy. The Burcharts were well educated and often were not only pharmacists but also doctors, hence playing a significant role in the city life. Their fame became so great that in 1725, the Russian czar, Peter the Great, reportedly called for Johann Burchart V to attend to him on his deathbed – however, the czar died before Burchart reached St Petersburg. Due to the pharmacy’s location just on the opposite of the Town Hall, some important decisions were also taken here. Food was also on display – such as candies, cookies, preserves, marzipan and jellied peel. When tobacco was brought to Europe and eventually to Estonia, the pharmacy was the first to sell it. One could even find a glass of Klaret – a locally sugared and spiced Rhine wine. 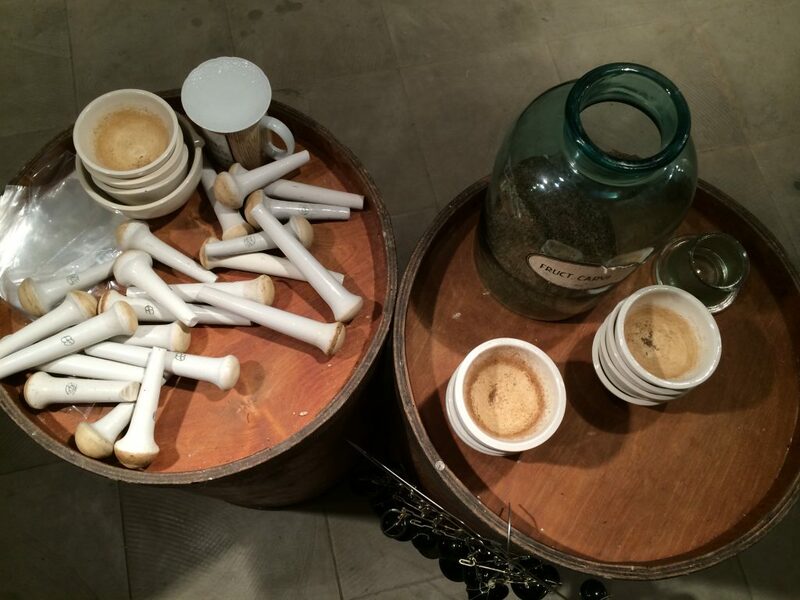 Today, Raeapteek also has a museum where the visitors can see the necessary tools of the pharmacist, as well as examine some strange ingredients that were used for making drugs hundreds of years ago: prepared wolf guts, rabbit ears, earthworms in oil, burnt bees, viper fat, dried toads, swallow nests, dog feces, billy goat blood, spirit with rough woodlouse, frogspawn band aids, stallion hooves, burnt hedgehogs and fresh chicken egg shells. In the basement of the pharmacy is a historical warehouse, where interesting workshops are organised for both school kids and adults. There is a possibility to mix together different infusions, try making marzipan and do other interesting things. 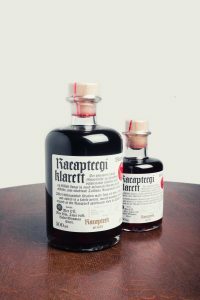 Apart from being the oldest still-active pharmacy in Europe that has been continuously operating in the same premises, Raeapteek is also the oldest company in Estonia that has worked continuously in the same premises.